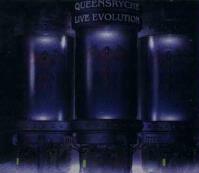 Queensryche has been around for quite some time, but this is their first full live album. 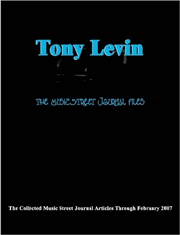 When the Operation Livecrime box set was originally released it included a CD of a live performance of the Operation Mindcrime album, but this is more of a real live album. The group performed two one-off shows chronicling their 20 year career, and this double disc set is the result. The songs are in a generally chronological order with material grouped in two album periods. The disc is divided into suites based on the album pair they come from. The material and performances here are quite strong, but some songs are weaker than others. Also, some of the performances seem a little off kilter at times. The only other complaint is that there are some errors in the song listings on the CD. Still, this is a killer live performance by a band with a very dynamic and long-lasting legacy. This hard-edged and dramatic cut serves as the intro to the album. The guitar solo on this one is quite strong. Always a favorite, this killer gothic styled tune is very faithful to the original. This one is in the "EP/Warning Suite", although it is actually from Rage For Order. With its Lovecraftian lyrical texture, this has always been a very powerful and dramatic piece, and it comes across quite strong here. This is one that is quite Maidenish at times. Beginning in its mysterious tones, this track has always been a favorite of this reviewer, and this rendition certainly is not a let down. It is every bit as powerful here a it was all those years ago. Although the song listing on the cover shows "London" being here, the song is in fact "Take Hold Of The Flame". This cut is powerful and Tate's voice is particularly evocative here. This is another one that is misrepresented by the album cover. With a potent fast paced Maidenish texture, this rocker is always sure to be a crowd pleaser, if a bit primitive as Ryche goes. Now comes "London", listed on the cover a couple of tracks ago. Although this one does not come across quite as mysterious as the studio rendition, it really has a new flavor all its own. The cut is quite powerful and features a great instrumental break that is a bit different than the original. The whole cut comes across a bit more rock and roll than the studio rendition, and that is not necessarily a bad thing. This one, always a rather haunting cut, comes across quite powerful and is fairly flawlessly executed here. This spoken word segment begins the Operation Mindcrime section of the concert, just as it opens the original album. This one comes across a bit sparse and slow compared to the original rendition. Tate's vocals are quite a bit different here, and he adds several lines into the cut. As presented here, this one feels a little different than the original, but is a rather faithful rendition overall. It still forwards the story quite well. Jumping ahead quite far into the album/story line, this short mood piece was called, "Electric Requiem" on the studio album. The number is actually a good amount different from the original, perhaps prompting the title change. The cut is also actually out of sequence from its original placement on the studio release. A major change from the original album, this piece is added in as a reprise of the earlier track. It feels just a bit off-kilter here. This one comes over a bit different as presented here, but it is still very strong. The incredible center piece from Mindcrime, this is somewhat rawer than the original, but still very potent. A killer number and one that has become a Ryche mainstay, this one is a bit slower and sparser than the original, but still very effective. Another that has a problem on the album listing, this one is missing from the listing, but present on the album. It is poignant and powerful as always, and works very well here. With its strong emotional content, this one comes across quite close to the original. Coming in hard and powerful, this cut was always one of the strongest from the Promised Land album, and it certainly does not disappoint here. Another from Promised Land, this one is not quite so strong. It does have a potent chorus, though and a fairly nice modern sound. The title cut from the Empire album, this was always a strong cut and a crowd pleaser. It is delivered with strength here and a little bit of extra social commentary from Tate. The Ryche mega-hit, this one always felt a lot like Pink Floyd. It is delivered here quite faithfully and Tate's vocals really soar. A "missing you" song from Empire, this arena rocking ballad comes across quite strong here. Another personal favorite, this one also comes across very strong on this live recording. A modern sounding alternative rock prog sounding piece, this one is not really a standout. This is a cut that kind of seems to lack any real character or charisma. Still it is listenable and has its moments. More meaty and even a bit Zeppelinish, this cut is quite strong and pulled off very well here. This one comes in fast and a little raw and is all the better for it. It's a fun rocking cut. Beginning with a somewhat psychedelic sounding guitar line, this one builds slowly from there. This one is good, but kind of an anti-climactic way to end the CD.